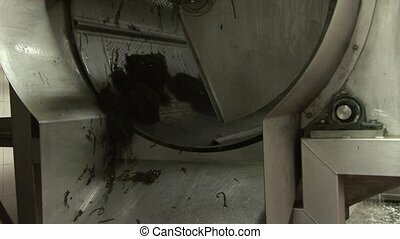 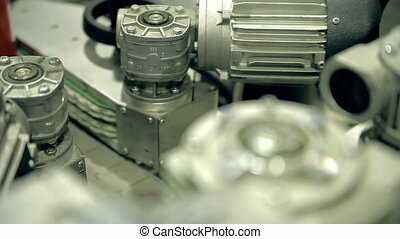 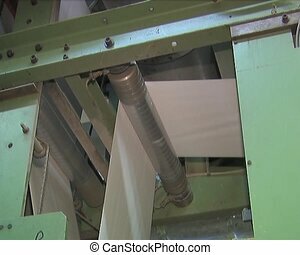 Automatic conveyor line driven by motors. 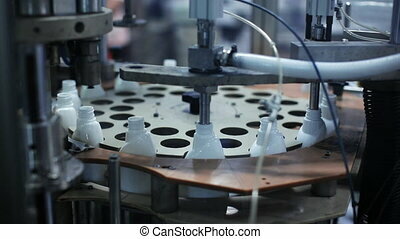 Plastic bottles with dispensers are moving on the line. 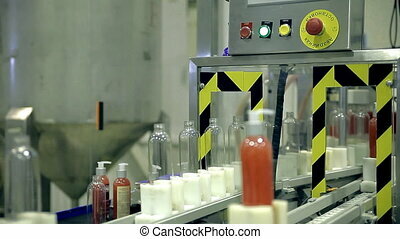 The line produces shower gels, liquid soaps, shampoos and other means of personal hygiene. 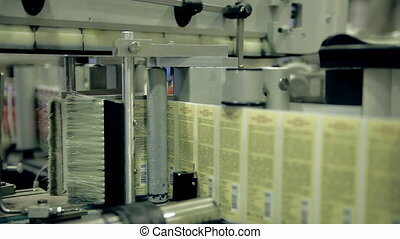 This part of line is putting labels on bottles. 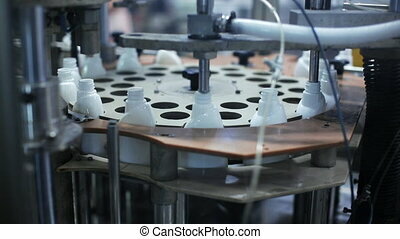 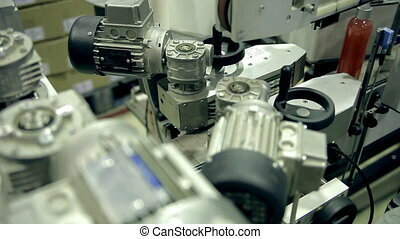 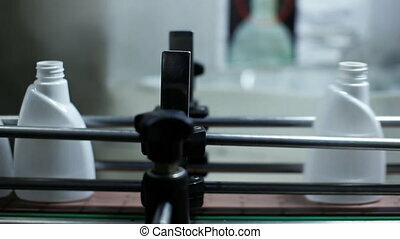 Conveyor production line of plastic bottles. 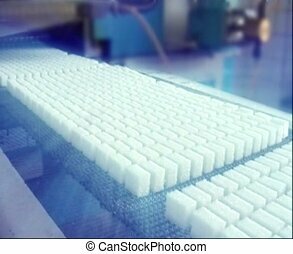 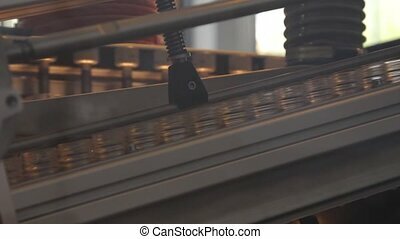 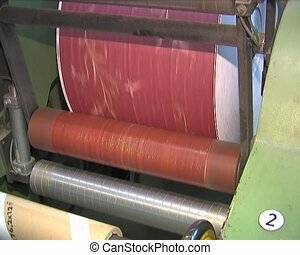 Conveyor production of plastic bottles. 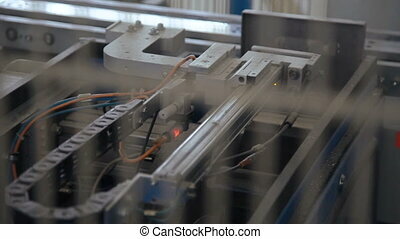 Automatic conveyor line driven by motors. 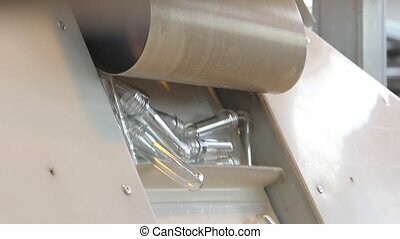 Plastic bottles with dispensers are moving on the line. 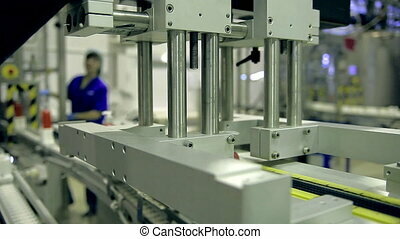 The line produces shower gels, liquid soaps, shampoos and other means of personal hygiene. 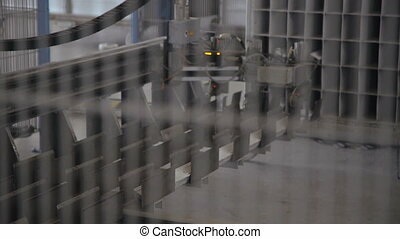 Automatic conveyor line driven by motors. 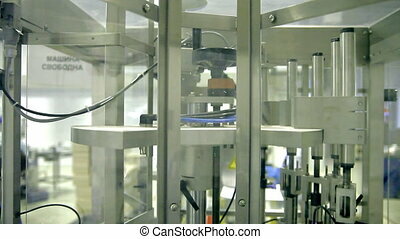 Plastic bottles with dispensers are moving on the line. 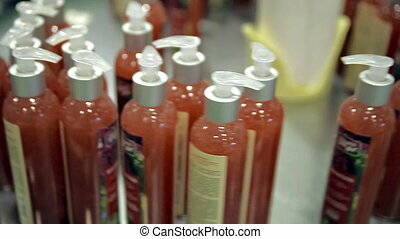 The line produces shower gels, liquid soaps, shampoos and other means of personal hygiene. 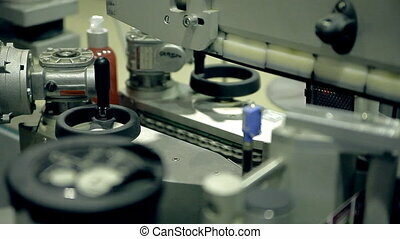 This part of line is pouring liquids into bottles. 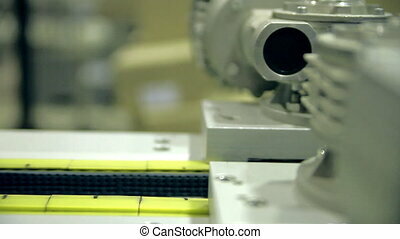 Automatic conveyor line driven by motors. 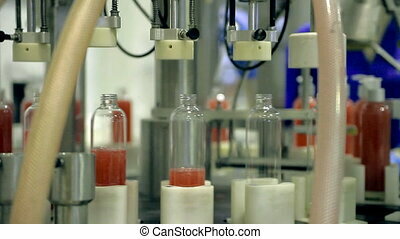 Plastic bottles with dispensers are moving on the line. 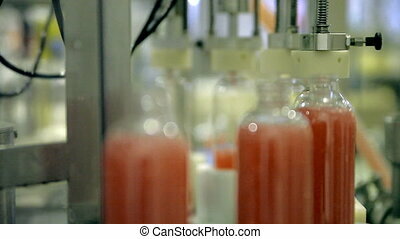 The line produces shower gels, liquid soaps, shampoos and other means of personal hygiene. 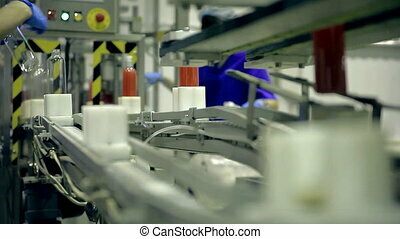 Workers in glowes and overalls are checking the quality. 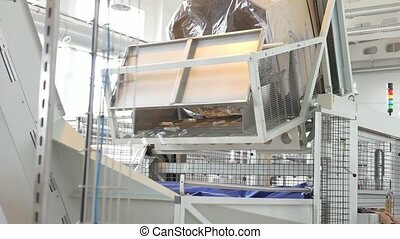 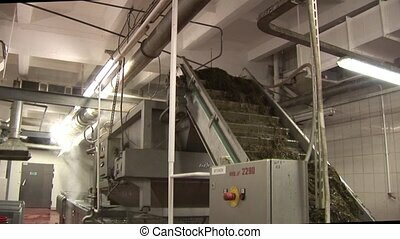 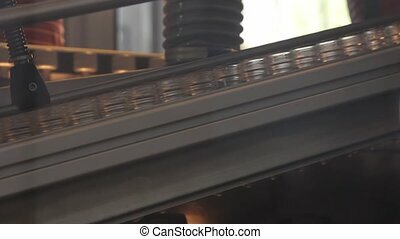 Automatic conveyor line driven by motors. 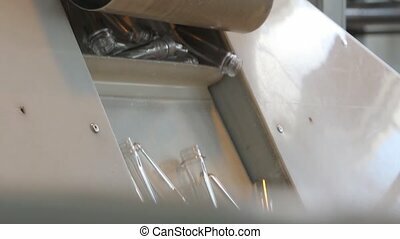 Plastic bottles with dispensers are moving on the line. 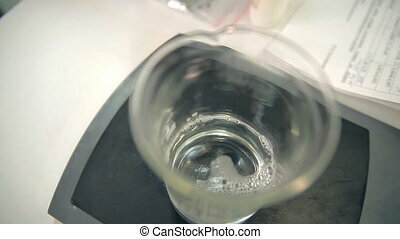 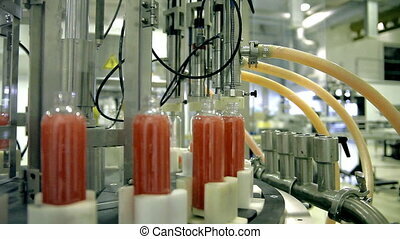 The line produces shower gels, liquid soaps, shampoos and other means of personal hygiene. 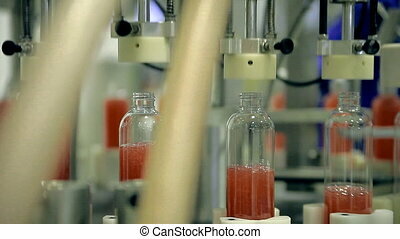 Workers in glowes are setting bottles to the line.